The true Southwest awaits you in Albuquerque, New Mexico. Come immerse yourself in our rich culture and heritage, rooted in centuries of history. Soak in our blue skies and sun that shines 310 days a year-perfect for outdoor activities. Breathe in the high desert air scented with sage and piñon, and you'll understand why Albuquerque, NM is a destination like no other.Whether you want to shop for authentic Native American jewelry, try hot air ballooning, explore living history museums, enjoy Albuquerque events and festivals, sample local cuisines or hit the golf courses and spas, Albuquerque has you covered. We want to help people understand the joy that comes with the motorcycle lifestyle. We know that motorcycling brings people and families together. By focusing on fun, we will create an atmosphere that is enjoyable for our customers, our employees, our vendors and their families.We are committed to transparency and honesty. We will always be completely open, honest, and transparent with customers, employees, and vendors on all issues. We will always seek the fair deal for everyone. We will never look to make a quick buck at the expense of our customers or our values. 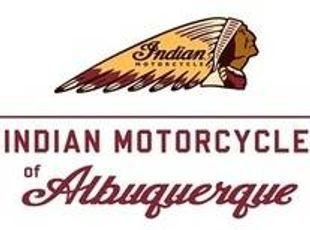 We're involved in our community as motorcycle riders in addition to being involved as a business. We believe in charity, honor, and the attendant experience that goes with both.